Actively marketing your business online can include a wide range of activities from doing an online newsletter with feedback from subscribers to participating in online discussions to running online games with thousands of simultaneous participators. The main point is that active online marketing strategy looks for opportunities and reaches out to potential customers in an endless variety of ways. Basically, this type of marketing is above and beyond simply maintaining a site (as wonderful as that site may be). Still, there are many simple ways of doing so. Participating in discussion groups and bulletin boards online is a great way to get the word out about your business. Of course, it's essential that you participate in the spirit of the discussion group and not treat the group as purely a marketing opportunity. People participating in online discussion groups on subjects related to your business constantly ask questions and ask for recommendations about products and services. For example, a novice skier looking for equipment might ask others taking part in an online discussion for the name of a helpful ski shop in the Boston area. To get such referrals, you, a friend, a satisfied customer or an employee must be an active participant in the discussion group. If you have an active website of your own, it's a good idea to join an online newsgroup or two and participate in ongo ing discussions about topics that relate to your business. A newsgroup is an online community of people who are interested in a specific topic. They tend to have a narrow focus and can be very useful in certain fields. Your knowledgeable contributions will help you become known as an expert in your field. These newsgroups (there are thousands) are linked together; you can find ones you may be interested in through an online network known as Usenet. When you're ready to post a message or question on a newsgroup, check out its FAQs (Frequently Asked Questions) before jumping in. It's bad form to advertise your goods or services, but if you just wrote a new program for cabinetmakers, a onetime post is fine because the other people in your cabinetmaker newsgroup would be interested. Subscribing to a listserver, a kind of electronic newsletter dedicated to a certain topic and delivered via e-mail, is another way to let people know you are around. Subscriptions are usually free. Tom Hargadon, who runs a multimedia newsletter and consulting business, regularly gets new subscribers and clients from people who know about him from the hundreds of cogent and valuable comments he makes in online discussion groups. The better you are known, the more recommendations you will get. And online, recommendations travel with lightning speed across the country. For example, Paul Billings, a Palo Alto, California physician and an expert on the social problems of DNA typing, got an invitation to be an expert witness in a trial in Hawaii when the trial attorney found out about him from a colleague's referral in an online discussion group among lawyers about the Hawaii case. The attorney knew of Billings because he is a lawyer who participates in online discussions about genetic issues, including problems with DNA typing, where Billings is a highly respected contributor. One of the active marketing strategies Nolo.com uses is to license its content to other carefully selected companies. This arrangement sometimes includes off-line content licensing as well. Obtaining content (through a license, generally) from a trusted name such as Nolo is a huge benefit to any business, whose customers will appreciate the inclusion of high-quality content, which builds trust for the entire website. Nolo has been in business for 30 years and its reputation is based on being trustworthy and offering consistently reliable content. Nolo also has an arangement with Yahoo!. Nolo allows Yahoo! to use certain Nolo content, and Yahoo! attributes the content to Nolo and links back to the Nolo site, which enjoys increased traffic. Nolo.com has 12,000 users a day, and generates one-third of its revenue online. 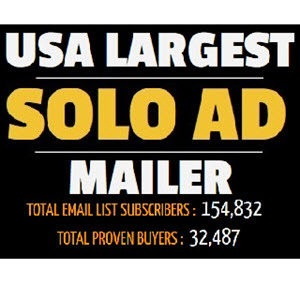 Discover the insider secrets to building profitable mailing lists quickly and easily. 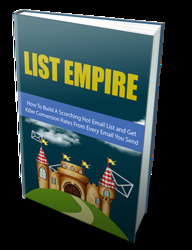 You can literally explode your income with a SINGLE list! Find out how.